Easy to Assemble, Easy to Hang, Plugs into electric outlet. This is for one Brand NEW 21" Hanging Christmas Light White Star of Bethlehem 26 Point Electric. 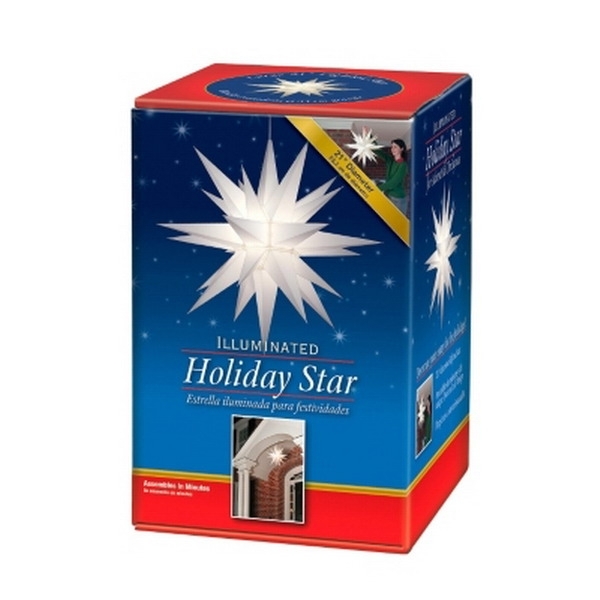 The Lighted Holiday Star is easy to assemble, easy to hang and will be a beautiful addition to your holiday decorations. The star is symmetrical and looks the same from all directions. It may be hung on a porch, placed in the trees, or may even be used as a tree topper for a large outdoor tree. 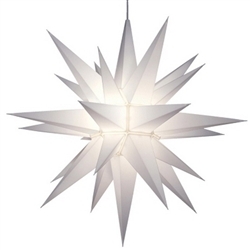 It represents the star of Bethlehem and will instantly show that your family is preparing for the holiday season.